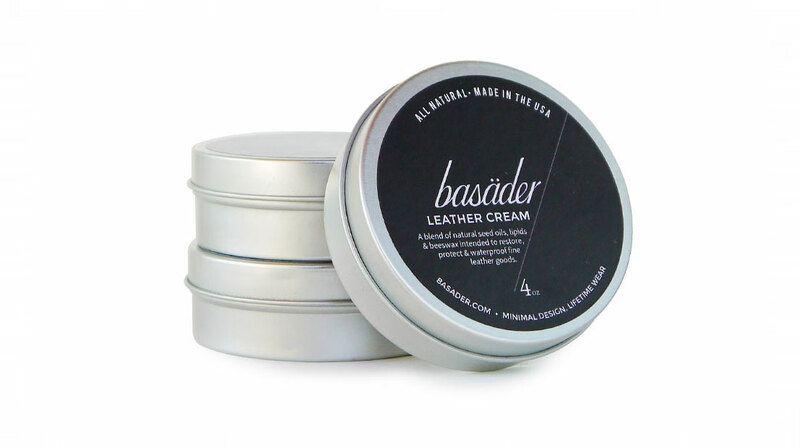 Soon to be available for purchase on the site, we’re excited to announce our new leather care product! Working alongside Dropforge Leather, we wanted to create a leather wax that was the ideal mixture for our bridle leather offerings. The result is a blend of natural seed oils, lipids, and beeswax, intended to restore, protect and waterproof full-grain leather goods. This should be listed on the site for purchase shortly, and over the next couple weeks, a smaller tin will be shipping with every bag purchase. Does the cream work well with distressed leather?